Today is 26 June 2013, and I just can’t believe how much time has flown. It seems like only yesterday that I had just gotten back from Yogyakarta. Shortly after I came back I had a 4-day break before I set off to Re:Union in Kuala Lumpur. 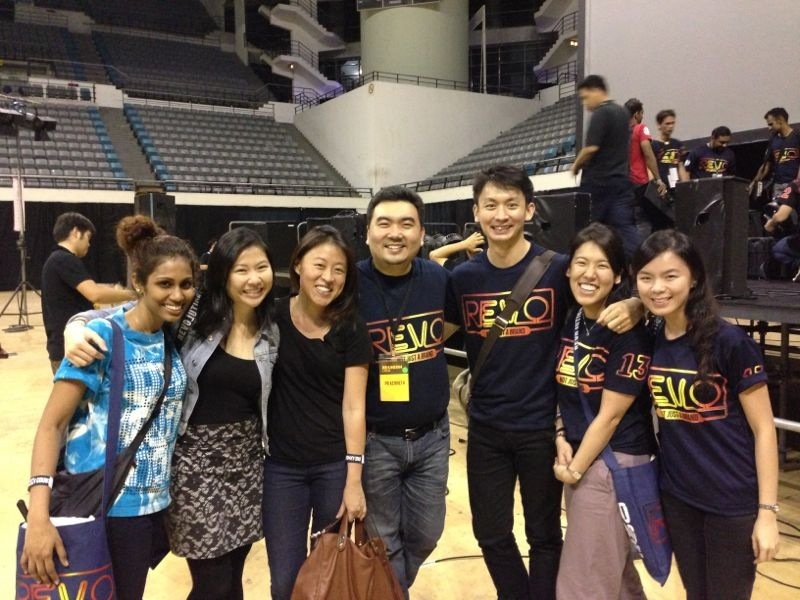 The four of us (Andrew, Juni, Laura and myself) drove up in the Volvo, ate a lot of roti canai and caught so much fire and vision from speakers and pastors like Kenneth Chin, Sandra Chin, Beram Kumar, Justin Gardner, Steve Morrison, Matt Fielder, Sam Surendran, Palan Ramasamy and YB Hannah Yeoh. The highlight for me was probably listening to a sermon in Bahasa Malaysia, which I enjoyed so much. For the month of June I didn’t travel for work. If you don’t know what I do for a living, I travel around Asia reviewing hotel rooms and coming up with travel articles for an online community. So it was really good to stay put in Singapore, the place I currently call home, instead of jetsetting around the world trying to maximise my life. Because sometimes, I’m maximising my life by staying put. On 8 June, I met up with a very good friend of my mine for brunch at the Marmalade Pantry. We’ve known each since our student exchange days to Italy at age 15. On the same day, my church held a charity flea market at SCAPE and I was there helping to handle the cash (which I found myself to be really good at!) We managed to raise over $5,000 for a charity called Andrew & Grace Home. Here is a great picture of four gentleman who helped out – Nick, Michael, Andrew and Daniel. Because I wasn’t travelling, this was also the first time ever that I could attend a Minizine shoot. The Minizine is our church’s bi-monthly mini magazine, hence minizine. As part of the Design & Editorial team, we organise a studio cover shoot for each issue, and with art direction by the talented Yuhui, I finally got the chance to visit the tiny studio in Tanjong Pagar. 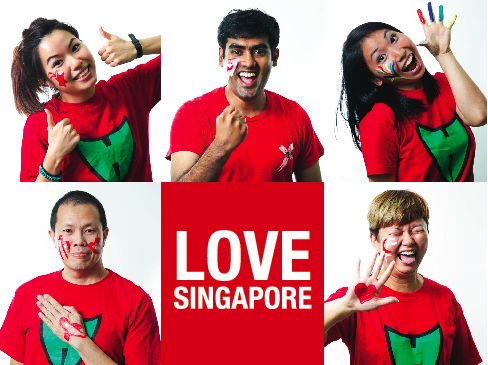 Here’s a sneak peek of the July/August edition, in honour of Singapore’s National Day on 9 August. And thanks to a colleague’s recommendation, I even managed to catch a documentary at the Singapore Design Film Festival on 16 June. 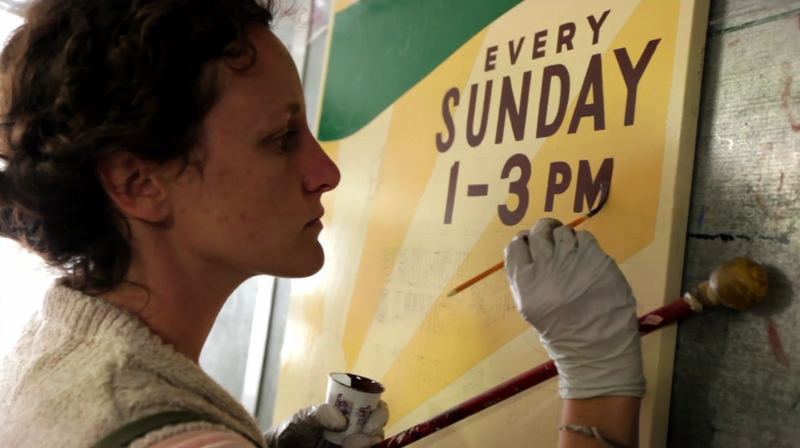 Sign Painters, directed by Faythe Levine and Sam Macon, was a film about the dying but resurgent art of painting commercial signs by hand in the United States. I was even more pleased to find out that this was only one of two screenings outside the US this year, the other being in Istanbul. The rest of the week saw me at a single mum’s event in Bukit Merah, shopping and babysitting at Parkway Parade, giving a career talk to final year online journalism students at Ngee Ann Polytechnic, lounging at an aunt’s house in Bukit Timah, trying to get a seat at Jollibee in Lucky Plaza and catching up with a cousin over life as an editor. My month is coming to an end in four days, and it can only get onwards and upwards from here. There’s an amazing new hotel in Singapore to review this weekend, an ice-skating night out with a bunch of really good people, and a housing contract to be signed with my new landlord in Simei. More on the latter in my next post. GOOD TIMES! 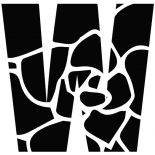 This entry was posted on June 26, 2013 by wanphing and tagged Jesus, Singapore.